Pastor Steven M. Krebill was born and raised in Jackson , Michigan . He earned the degree of Bachelor of Arts in Elementary Education from Olivet College , Olivet , Michigan in 1978, Master of Divinity from Trinity Lutheran Seminary, Columbus , Ohio , in 1986 and a Doctor of Ministry from the Graduate Theological Foundation, Donaldson , Indiana in 1996. As part of his seminary training, Pastor Krebill spent a year with the people of Advent Lutheran Church , Cleveland , Ohio , as well as a summer in Clinical Pastoral Education at Children's Hospital, Columbus , Ohio . Erika Haskell has been a church organist since high school, first playing at Trinity Lutheran in her home town of Lockport , NY. She is a graduate of Baldwin-Wallace Conservatory of Music, with a major in Arts Managementn/piano and a minor in organ. Erika worked for The Cleveland Orchestra for 10 years, most recently as Concert and Special Events Manager. She currently works part-time as Special Events Coordinator at the Baldwin-Wallace Conservatory of Music. 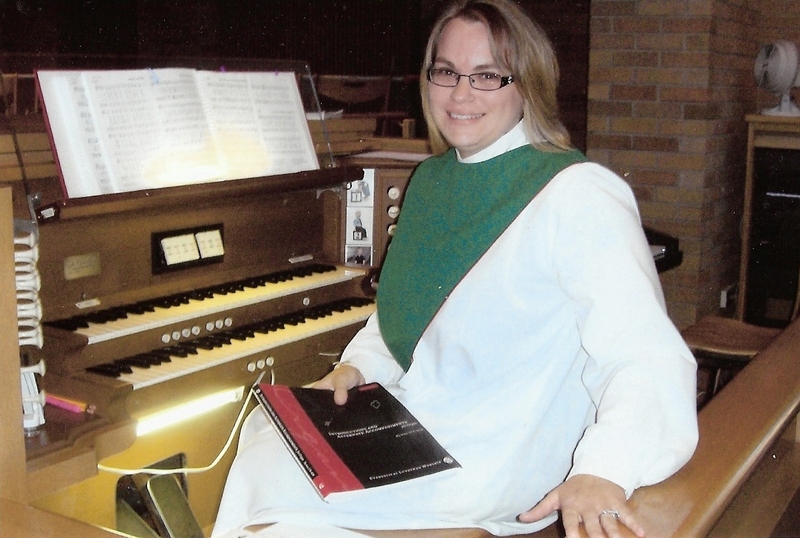 Erika served the congregation of All Saints Lutheran in Olmsted Falls for six years as an organist, choir director and contemporary service leader. Also a graduate of BW, Erika's husband Nate is an attorney and a freelance musician. They have two children and two dogs.